Battery is actually under the instrument cluster not under the seat. The attachment is exactly right. Followed it and change it out. The only thing gone is the garage control. Need to set up again. Anybody knows any online sellers for replacement auxiliary battery for my 2010 E350 since dealer price is too expensive. Thanks for your help. My brother just replaced his from local MB parts. That is a good price if it lasts. This indicates that the second battery is specific to the models named right? My 2011 E350 4Matic Wagon with the 272 engine no ECO S/S has only one battery from what I have been told by me dealer parts guy who is pretty well informed. MY11 e3504matic wagon: 12V/80AH battery in engine compartment, and additional transmission selector 1.2AH backup battery below instrument panel. Thanks. I will bug him again. Thanks for the input. He has recanted. He supplied part numbers as well for my car. 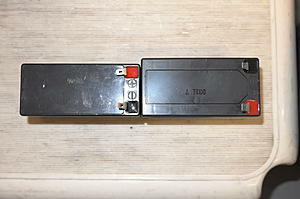 Thanks guys (Taiwanese and swwags) for the online info for the Auxiliary Battery for my 2010 E350, I just placed the order. My earlier post was a little misleading. My brother bought his from local MB parts. anyone know the function of the Auxiliary battery on the 2010 E550? can someone please tell me what the auxillary battery on the E550 does. i have noticed that my Air condition is not working even after topping up on the Air condition gas. The dashboard says Auxiliary battery malfuncion and i am wondering whether the Air condition's inability to function has anthing to do with the battery. I installed the new auxiliary battery I bought from Newegg for my 2010 E350 but the "Auxiliary Battery Malfunction" still shows up. Any ideas how fix this problem? Hello, I am a tad bit late to this but with my search this is the only useful information I've gotten regarding this issue! I also am getting a "auxiliary battery malfunction" light on my 2011 E350 and have purchased a new one, (http://www.ebay.com/itm/190716744381...S:1123&vxp=mtr) used the pdf. provided to install it but when we got in there the batteries were two different sizes. Can anyone provide me with a part number or picture as to what I am supposed to have?? Anything would help greatly as I've kinda been ignoring this issue and need not to! What is your VIN (PM if you prefer)? look at the 8th post. Thank you all for your valuable feedback. Replacing the auxiliary battery isn't hard but it looks like difficult for some who don't work on cars very often. The instructions that were provided on post $8 aren't that helpful in my opinion. 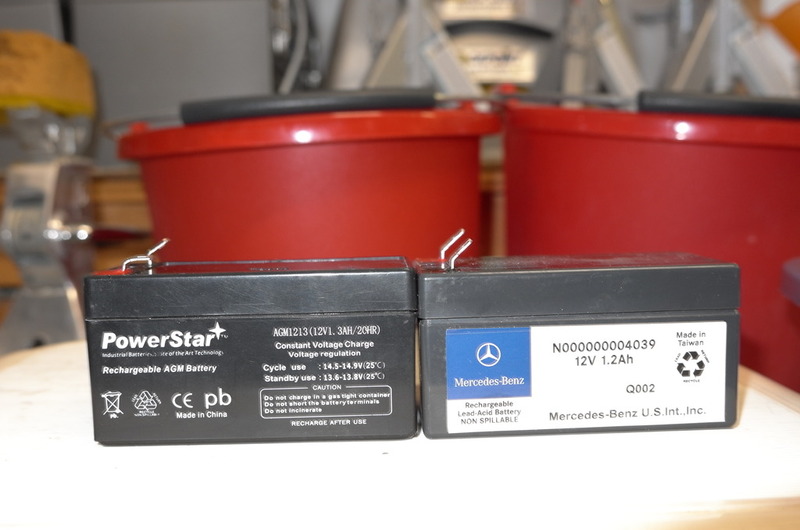 I found these instructions that show you step by step with pictures and videos on how to replace the auxiliary battery on an E Class. There is also a list of aftermarket batteries that will fit. Here is the link if anyone in the future needs help. 000 982 21 08 says it is discontinued? 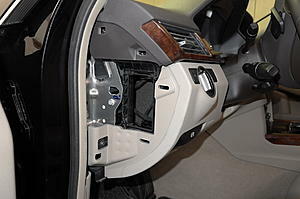 Thanks for the posts; they provided good information that allowed me to change the Aux battery in my 2012 E350 in about 10 minutes. I ordered the PowerStar battery from New Egg for $12.99. The PowerStar battery is a bit taller and narrower, but seemed to fit fine in the bracket. Here are a few photos showing the access panels and the two batteries side by side. 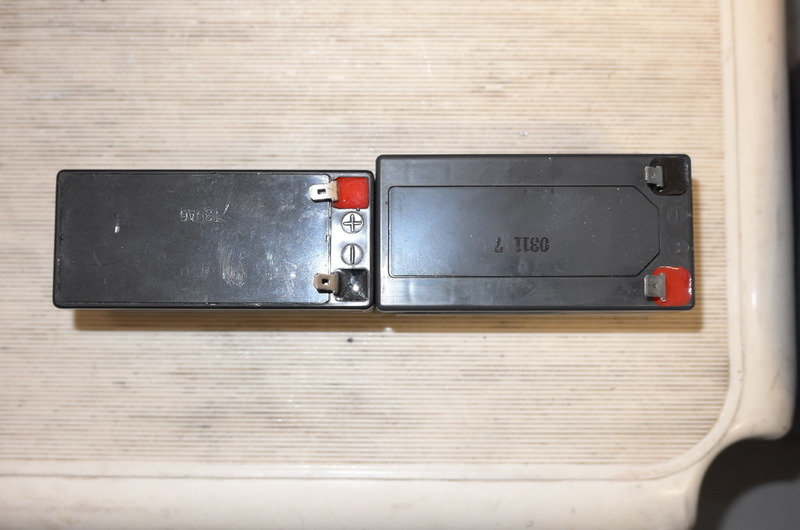 The garage door remote codes were unaffected after replacing the battery. Last edited by Six_Speed; 10-01-2016 at 11:32 PM. I just did this too and GrgeTR's instructions were right on target. Thanks Greg. I also bought the New Egg battery. The size was close enough to fit just fine... One thing though, I didn't end up doing step 4 and just left the brackets connected while I replaced the battery (I couldn't get them to unsnap). Also, all the other posts on thread about the location of the main battery threw me off for a while. I wish people would have kept this threat on subject, which is the replacement of the auxiliary battery. NOT the main battery. 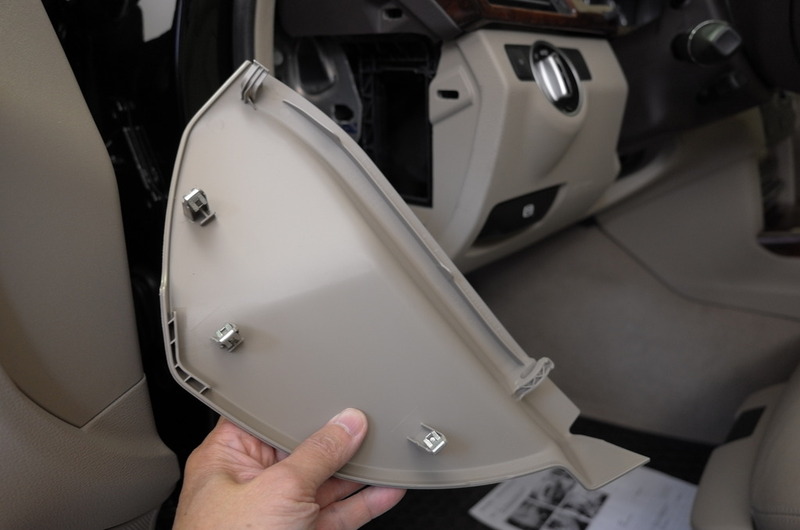 You need to remove the 3 torx screws from the under dash plastic trim before you start yanking on the plastic. Once you pull it down, there is the cable that connects to the hood release. I didn't see a way to unhook or detach the cable so I left it on and squeezed my arm in to get to the battery. You must unbolt #5 to release the battery bracket that holds the battery. Hope that helps the next person who needs to do this DIY. Why does MB/DAG make things so hard? The cabin filter is another one. I have done DIY in past on Asian and American cars and never as complicated as MB. Not sure, but I think you can get the battery from Adavanced Auto, but they will not install it. They will install the main or "starter" battery free of charge.